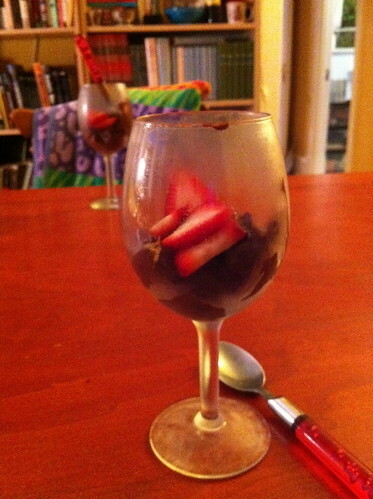 chocolate mousse with strawberries, a photo by unglaubliche caitlin on Flickr. sooooooooo much better than the sum of its parts. a magical dessert.